Ever forgotten your passport before jetting off? You're not alone. 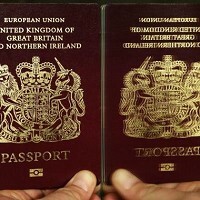 A tenth of Britons forget their passport as they embark on a foreign holiday, according to the Original Factory Shop's poll. Just don't forget your travel insurance for peace of mind against any other little surprises that might occur during your trip. Men are more than twice as likely (13% of those questioned) than women (6%) to forget their passport, making it their most overlooked holiday necessity. But British holidaymakers' absent-mindedness does not stop with passports, the survey finds. Airline tickets plus hotel booking details are also things that slip our memory. Almost three in four British women view family holiday planning as stressful in comparison with little more than half the men polled. The poll claims one thing men won't forget is their sunglasses, with 46% of them saying it is their main priority. Women's main "must-not-forget" item is their suncream with 67% of them saying it is their prime concern. Both items rank above underwear, the second most important holiday packing item for both women (66%) and men (44%). A typical Briton forks out £112.89 in pre-holiday shopping trips, yet still over half claim to forget something when taking a break. The burden of pre-holiday planning, shopping and packing seems to fall upon women, the poll finds. More than eight in 10 (84%) women and even 65% of males agree with this statement. The report author's marketing director Colin Leggatt cautions that a break away is meant to be a relaxing escape, rather than stressing over forgetting key items.